2017 marks the centennial of US entry into World War I. As a part of that commemoration, the Indiana WWI Centennial Committee has planned educational events and programs throughout the year that will unpack the Hoosier State’s involvement in the “Great War.” Here at Hoosier State Chronicles, we thought it would be a great time to share a different side of Indiana culture during this immense, global conflict, in the form of cartoons. John T. McCutcheon and Kin Hubbard are two of Indiana’s most celebrated cartoonists from the era, and in two posts this month for Hoosier State Chronicles, we will share how their art helps us understand how the home front viewed this integral time in world history. 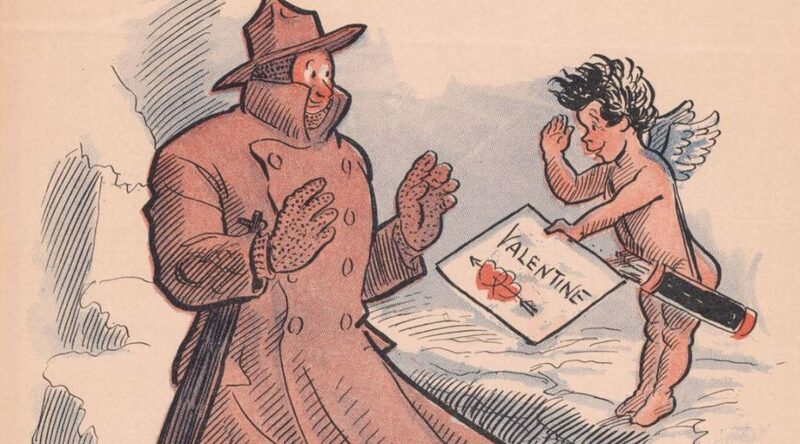 The first post covers the “wartime valentines” of John T. McCutcheon. Cartoonist John T. McCutcheon, Hammond Times, December 26 1918. Hoosier State Chronicles. 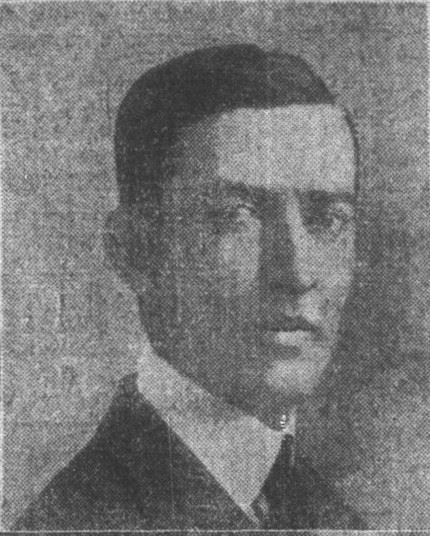 George Ade, Indianapolis News, May 20 1902. Hoosier State Chronicles. 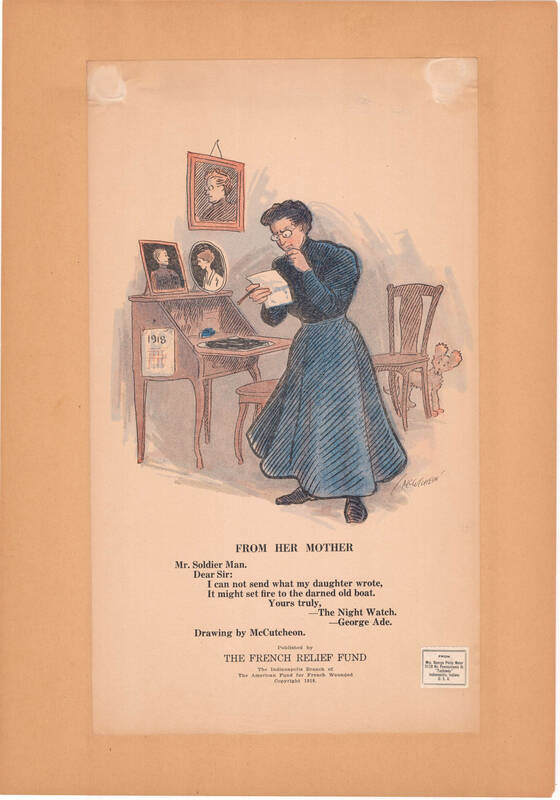 Paralleling his more personable cartoons, McCutcheon partnered with another Hoosier author, George Ade, to create a series of valentines for charity during World War I. The idea originated from the Indianapolis Branch of the American Fund for French Wounded and its contributors were a who’s who of Indiana arts, including Ade and McCutcheon as well as Meredith Nicholson, Kin Hubbard, and William Herschell. 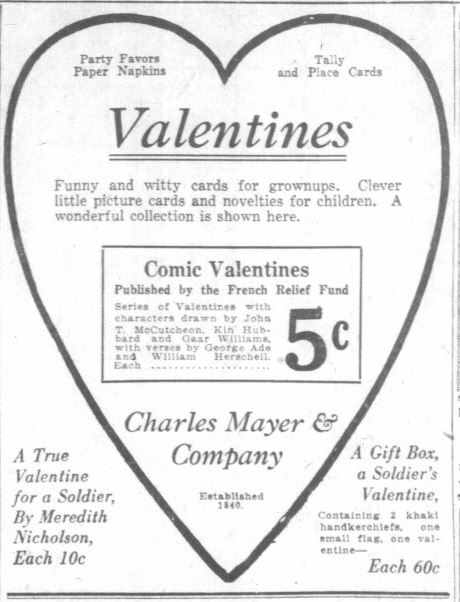 As reported in the South Bend News-Times on January 28, 1918, “Prominent Indiana artists and authors this year have been making comic valentines . . . and are guaranteed by those who have seen them to send grins and cheer to soldiers at home and abroad.” The article also outlined the American Fund for French Wounded, noting that “the proceeds will go for furthering the work in France among wounded soldiers and destitute families, which is the committee looking after the funds is carrying on.” Ads even ran in the Indianapolis News to promote the Valentines, published by Charles Mayer & Company, once they were available. 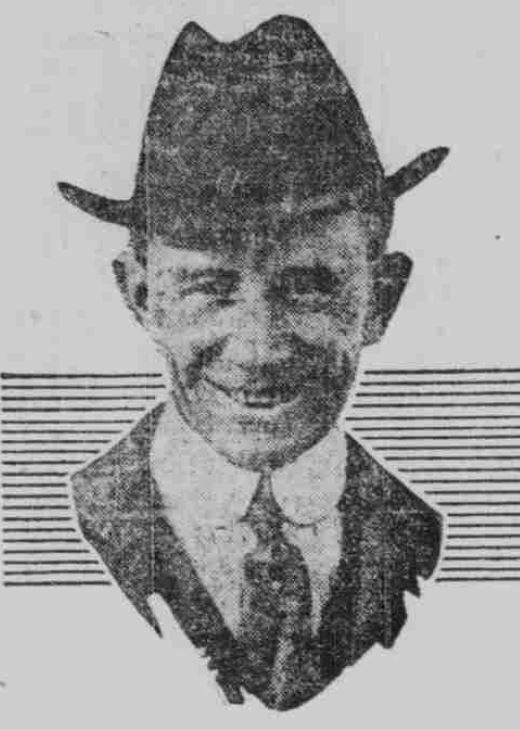 Indianapolis News, February 5, 1918. Hoosier State Chronicles. Four of McCutcheon and Ade’s valentines are publicly available through Indiana Memory/Digital Indy and the Digital Public Library of America. George Ade and John T. McCutcheon,”From Her Mother.” IMCPL/Digital Indy. It might set fire to the darned old boat. The mother’s face shows a concern not only for her daughter’s overly passionate words. McCutcheon’s style of strong lines and warm, humane features also comes through in this valentine. George Ade and John T. McCutcheon, “Her Choice This Year.” IMCPL/Digital Indy. That you’re her particular beau. That’s why you’ve been picked as her beau. The young woman, aptly named Columbia, holds the hand of her uniformed soldier as he looks at her lovingly. She’s also dressed in a shirt and skirt of the red, white, and blue with a pair of roman sandals. And of course, McCutcheon’s iconic dog looks up at them in the foreground. This valentine exhibits the strong patriotic fervor during the period, but in a charming, homespun way. George Ade and John T. McCutcheon, “Some One Has Not Forgotten.” IMCPL/Digital Indy. This depiction of men and women evokes a more traditional assumption of gender during the period than say “Columbia” and her beau above. The woman’s thoughts of her partner, floating above her head and colorless, attempt to convey the arduous and grim task of war. In contrast, McCutcheon’s drawing of the young woman is clear and with beautiful coloring. 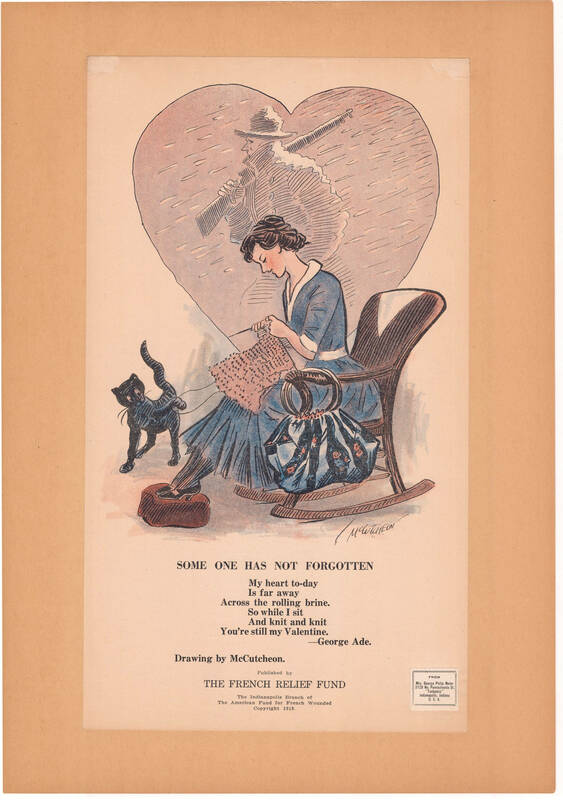 Ade and McCutcheon’s valentine cleverly renders the feelings of many young women while their partners were at war. George Ade and John T. McCutcheon, “To You Somewhere.” IMCPL/Digital Indy. That you are my only Valentine. The soldier’s delight at receiving the message from a saluting cupid is evident. He even has his gun down and his hands up, perhaps in surprise that the symbol of love is in a war zone, or perhaps the soldier is in the act of accepting the valentine from Cupid. 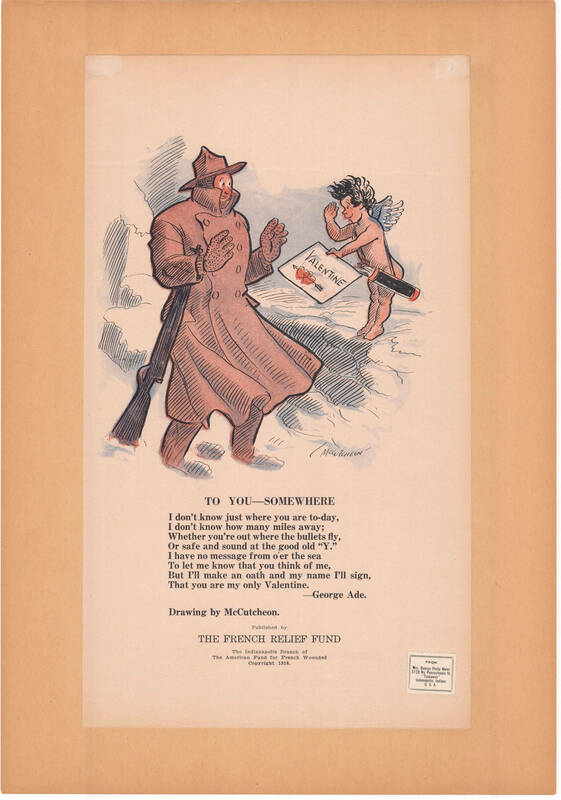 Of the four digitized valentines, this is the only one without a female main subject, despite the text being from the soldier’s love. It shows the perspective of the soldier receiving a valentine, rather than a woman creating or imagining one. 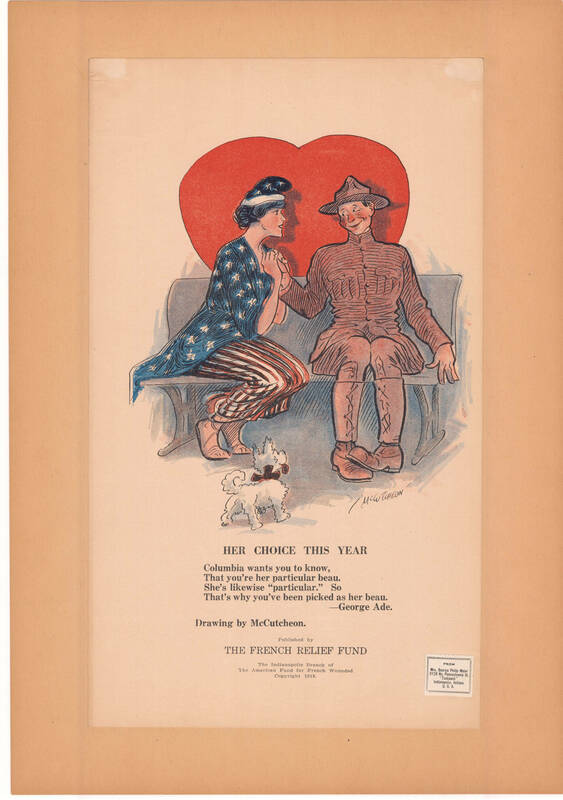 During a time of immense destruction, political revolutions, and domestic instability, Ade and McCutcheon’s valentines provide us with a more homespun, sometimes humorous, quaint and patriotic view of the home front during World War I.